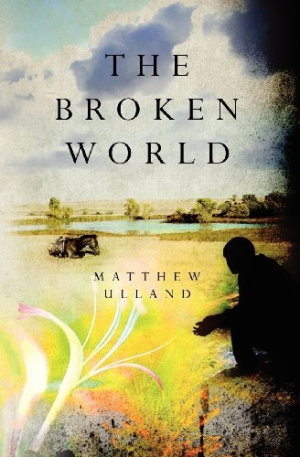 In the earnest pages of The Broken World, Matthew Ulland tells a heartbreaking, emotionally complex story with an assured, character-driven approach that is a gift to the thoughtful reader. The narrative is told through the perspective of Luke Citrine, a teenager whose family, which includes a slightly older brother, spends a precarious few weeks at his grandparents’ farm where his grandfather is dying. The boys busy themselves, aimlessly exploring the farm and its surrounding natural world, wandering mostly to escape the oppressive atmosphere of approaching death in the farmhouse. But something is bubbling beneath the surface: the family is about to be devastated, and not in the expected way. When they are, Luke’s reaction to the event accompanies and shapes his transition to young adulthood. Ulland’s Luke has a questioning nature mixed with a bit of eager naiveté. He also has an open-hearted capacity to know and understand the world, especially the particular world he and his family travel, together and apart. The combination makes him one part lovable child, one part commendable emerging man-child, not unlike the seeking, beseeching young men in the pages of books like John Knowles’s A Separate Peace. The author creates a space inside his protagonist’s mind and spirit, bringing the reader close—sometimes, appropriately, a little uncomfortably close—to the tangled, tortuous, utterly human gymnastics that accompany a boy’s transformation into a young man. While the book is sure-footed and engaging overall, a bit of light editing would help create a slightly more varied sentence structure and eliminate some awkward play-by-play in a few places, as well as a handful of point-of-view jumps. There is, in addition, occasional wordiness. And when a cell phone appears far into the narrative, it is momentarily disconcerting: a reader may wonder if previous story lines may have played out differently given twenty-first century technology. But these are minor blips against the larger prose canvas upon which Ulland deftly paints a character with a keenly observant interior. As Luke discovers important and difficult things about the world, his family—and most of all, about himself—his quiet integrity beckons. From beginning to end, readers will have the urge to protect Luke and to embrace both him and his story.